These Wrangler Riggs Men's Antique Indigo 3W020 AI Durashield® Carpenter Jeans can help you avoid some embarrassment. Sure, we've all been there -- you finally get your favorite denim pants broken in, and that's about the time you hear a tearing sound and feel a b ... (see full details) (see specifications) #WRG3W020AI. These Wrangler Riggs Men's Antique Indigo 3W020 AI Durashield® Carpenter Jeans can help you avoid some embarrassment. Sure, we've all been there -- you finally get your favorite denim pants broken in, and that's about the time you hear a tearing sound and feel a breeze where you shouldn't. Sure, it feels nice for a second, but then you realize everybody around you knows that you forgot to do a load of whites last night. Say goodbye to that worry when you wear these durable carpenter jeans. These Riggs carpenters are made with the Room2Move fit with a gusseted crotch and an improved fit in the seat, thighs, knees, and bottom opening, providing you with an extra bit of space to maneuver through your environment. They are constructed with 14.5-ounce 100% cotton Durashield® denim fabric, a Riggs exclusive that moves when you wear and wash it, allowing it to resist abrasion and keep its color. Built for serious work, these pants are constructed with triple-needle stitching and feature 3/4-inch X 2 1/4-inch belt loops and a #5 YKK zipper. Other work-ready features include 13" deep front pockets with 7.25-ounce white pocketing and a tape measure reinforcement on the right front pocket. The back pockets are lined with 1000-Denier Cordura fabric that really holds up. The watch pocket is oversized, and these work pants feature a hammer loop on the right leg and a tool pocket on the left. Avoid those embarrassing moments with some work jeans that don't wear out right after they get comfortable. These Wrangler Riggs Men's Antique Indigo 3W020 AI Durashield® Carpenter Jeans are a good product at a great price and will provide you many days of freedom from exposing your 'personality' to your co-workers. Buy them right here at Working Person's Store today! 121 out of 121 people found this product review helpful. 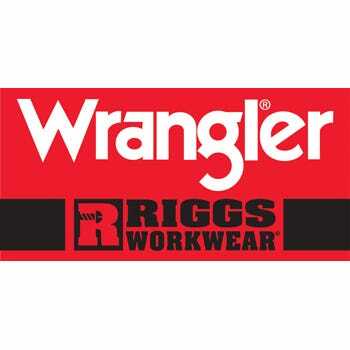 The Wrangler Brand has been around for a long, long time, much longer than a lot of its competitors have, and I believe that shows in all of their Clothing products, and these Carpenter Jeans are No exception. I have 4 pair of these Jeans and they are going on 5 years old and are still looking great. I am very well satisfied and plan to buy more of these Jeans. As a few of the other Reviewers have mentioned, these particular Carpenter Jeans (3W020) do tend to run a bit small in the waist, so you will likely need to order one size larger in the waist than you normally would. If you've never owned any Wrangler Brand Jeans before, you will be very satisfied when you try them! 41 out of 41 people found this product review helpful. These pants are as good as it gets and the price is a good one for what you get. When ordering they run snug in the waist you might want to consider one size larger. I own a custom sawing business and I am very hard on jeans. These pants are without a doubt the best I have ever found. I highly recommend them. I own 2 pair and am ordering 3 more. Tney beat Carharts hands down. I needed a rough and tough work pants and found these to be just what I needed. I train horses and it's not easy on clothes. Just order your hip size and you will be ok.
Oh, I am a women, but can't find hard wearing clothes in womens. Wrangler Riggs Jeans: Men's Antique Indigo 3W020 AI Durashield® Carpenter Jeans is being added to your cart.